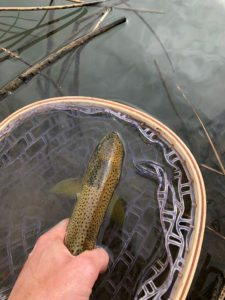 Adam M.: I saw this strange-looking Apache trout swim past me antagonizing other fish on Silver Creek last Sunday (1/27/2019). It finally settled down and I threw half a dozen nymphs at it, which it would swim up to and reject. Finally, it took a black chironomid midge. When I landed it, I saw that the left side of its face was darker than the rest of its body, right down the middle of its head. 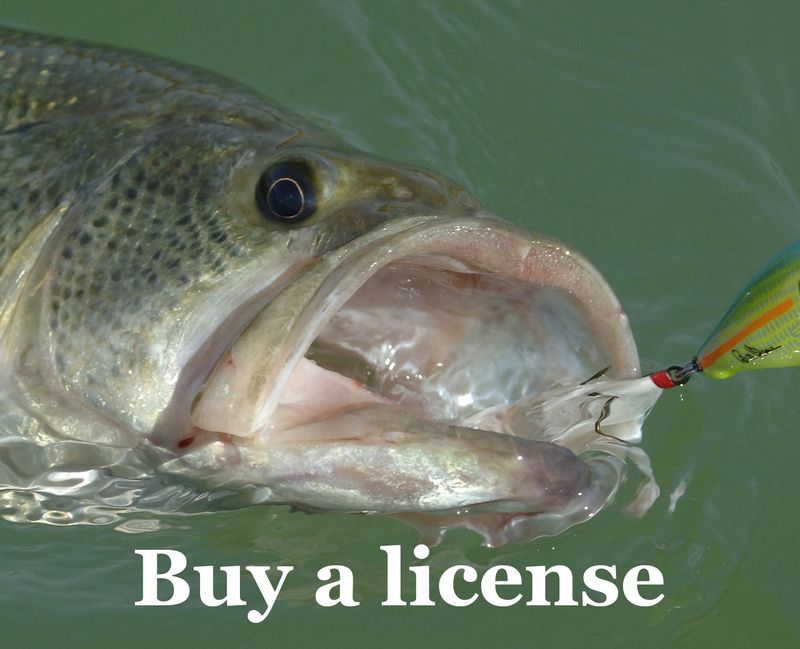 Editor’s note: The division down the top of the head of this fish, with darker pigment only on the left side of the head, tends to be caused by an injury. Our biologists see this on a regular basis. The dark pigment tends to show up only on the half of the body where the injury occurred and associated with the area of the injury. We are not sure of the mechanism of how pigmentation in the skin responds like this to an injury, but it might be nervous-system related since it always seems to stop along the mid-line down the head and/or body. Also, see that this fish has a healed injury. There is a scar just above the gill cover and back towards the edge of the pigmented area. The trout was probably hit by a heron, which tends to cause a puncture type wound, and survived. This shouldn’t impact the fish at this point as the wound appears to be healed over nicely. This sounds like it was the dominant fish in that pool, since it was doing the antagonizing of other fish, which means that it is in good health.